Did you know that today is National Toast Day? Apparently toast is taking a surge in popularity and there are special artisan toast bars springing up in some of the coolest hotspots around the world! At around £2.40 for a slice or two of toast they are not for me. I shall continue to enjoy artisan toast at home from my local bakery and my own kitchen, where I can enjoy a whole loaf for a fraction of that price! To celebrate National Toast Day today, I made my own special toastie for a late lunch. 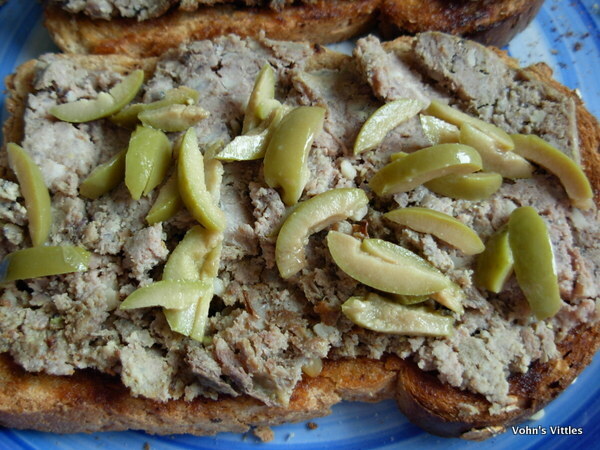 This is lightly toasted Oat & Barley loaf, topped with homemade French-style meatloaf and green olives. I am eating it as I type and it is yummy! The French-style meatfloaf is leftovers from last night’s dinner and the recipe will be up on the blog soon. Enjoy your day and have a slice of toast!